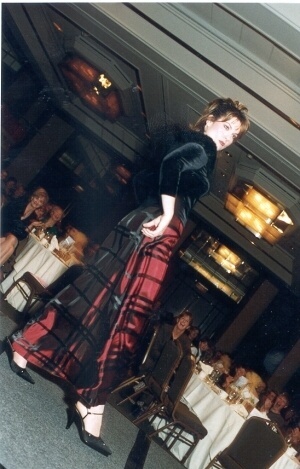 Fashion and fundraising go hand in hand. We believe that when you give, you get back much more than you ever give away, and we are devoting this section of our site to promote our corporate philosophy of "doing well by doing good." We hope you'll be motivated by some of our ideas on how you, too, can make a difference in the lives of others. 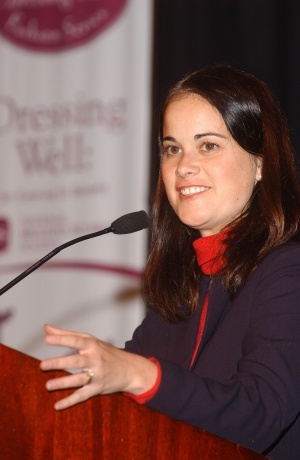 Launched in 2017 to celebrate the 25th anniversary of our firm, The Dressing Well Charitable Foundation provides monetary support to other 501(c)(3) organizations, especially those that offer clothing, career support and social services to women, men and children while encouraging self-sufficiency. Throughout this section of our site, you can learn more about our long standing relationship with several prominent non-profits and why we support them year in and year out. While we will continue to donate our time and talent to the charities we love, our Foundation allows us to increase the financial support they also need to thrive while formalizing an important piece of our business model: helping others regardless of socio-economic status experience the true power of dressing well. We greatly appreciate your generous donations (100% which are tax-deductible) to help further the good work of these outstanding organizations. Thank you to all our donors for your ongoing support! 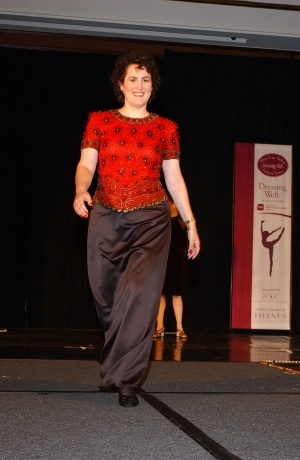 We are beyond proud to be one of the original sponsors of Anton's Cleaners Belle of the Ball. 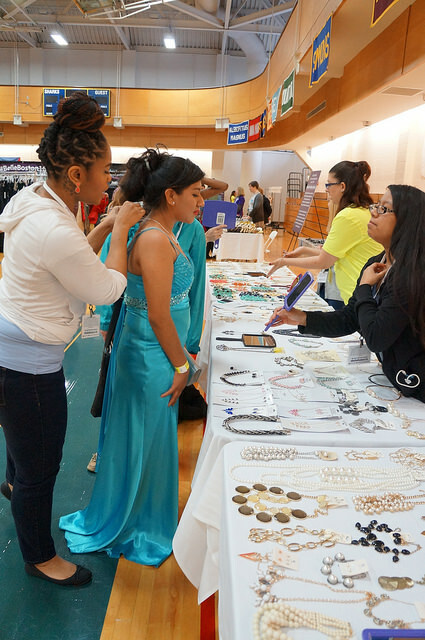 What started in the gym at Simmons College in 2014 serving just a handful of students has grown into a sophisticated day of dreams come true at the Hynes Convention Center. 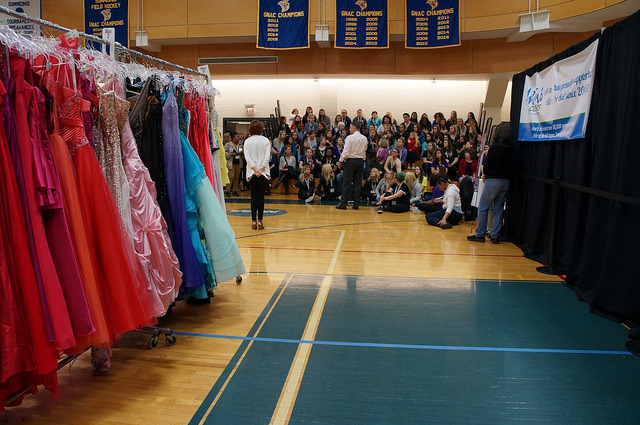 In addition to Anton's, Jordan's Furniture and Enterprise Bank have joined the cause as lead sponsors, using their respective stores, branches and collective marketing power to collect dresses each year, inspire their employees to get involved and underwrite the day of experience for over 600 deserving young women annually. We continue to oversee the Dressing Well Style Station and support the 100-plus volunteer personal shoppers on hand every year. 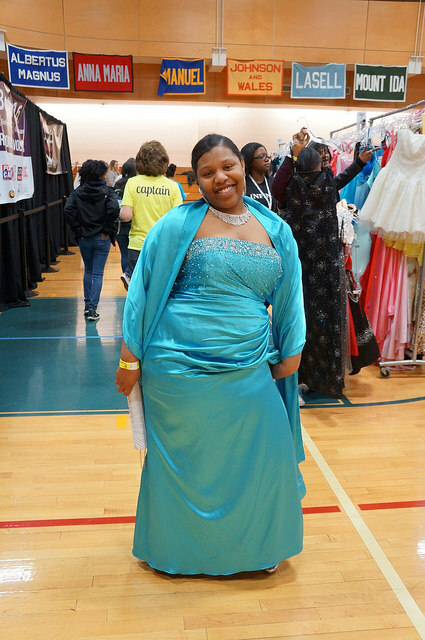 In 2018, our Foundation donated $1,000 to purchase over a dozen brand new plus-size dresses to help beef up our inventory in this important area. It is an amazing day filled with smiles, hugs and empowerment. Kudos to our dear friends at Anton's – you really created something special! Below are some favorite photos from over the years -- Happy Anniversary Belle! In 2018, we granted just under $10,000 to 10 outstanding national and New England based charities who are changing lives by using clothing, accessories and style along with big hearts and creative thinking to change the lives of men, women, children and families. Follow this link for a full list of our 2018 recipients along with links to their websites so that you can learn more about them. If you know of a non-profit that might meet our funding criteria, please let us know. We love learning about new programs and having an opportunity to support their good work. 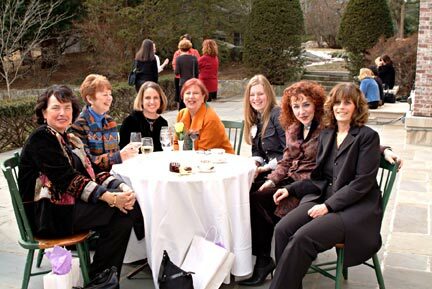 Our fall grants support the good work of 3 wonderful organizations: the National Multiple Sclerosis Society, Greater New England Chapter’s annual “Fashion Plates” Luncheon, Coats for Kids and The Needham Women’s Club 25th anniversary holiday house tour. Our support for Fashion Plates pays tribute to the spirit of Karen Van Houten. 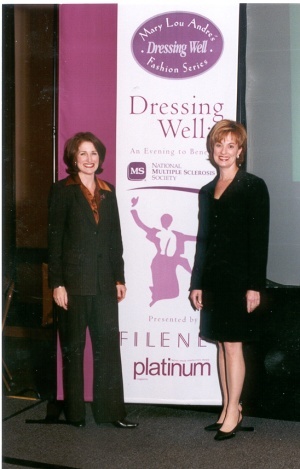 From 2001-2003, Mary Lou Andre and Karen co-chaired a similar fashion event for the MS Society, raising over $200,000 during this three year commitment. We salute Karen for inspiring us then and now. We are thrilled to once again be supporting the good work of the MS Society, this time through the mission of our Foundation. 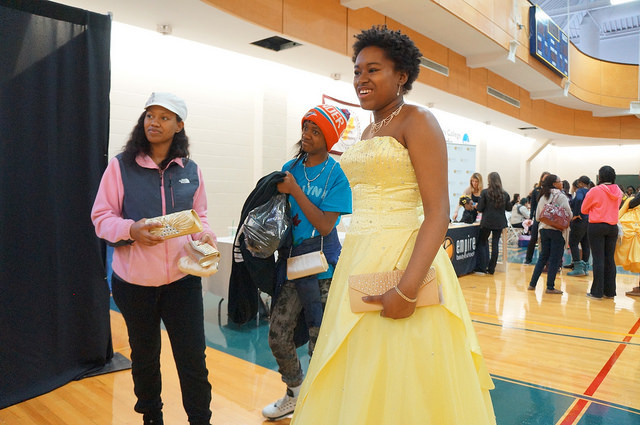 Early financial support for our Foundation has allowed us to sponsor the 15th Anniversary of Dress for Success Boston in March and increase our support of Anton's Cleaners 13th Annual Belle of the Ball, held on April 8th at Simmons College in Boston. We are proud to have been involved with both of these amazing organizations since their inception. Held on Sunday, April 10, 2016 at Powers Hall in our home town of Needham, Massachusetts, this show features clothing and accessories that are available at the Council’s Thrift Shop. This community gem is open to the public and supports the many no-fee programs of the Council. Ticket sales for this show are earmarked for the Council’s CAP Program (Child Assault Prevention) and the Needham DVAC (Domestic Violence Action Committee). View a photo album of this year's show or check out this video to see dozens of volunteer models strutting their stuff in spring attire while also learning why the show is one of our favorite rites of spring. 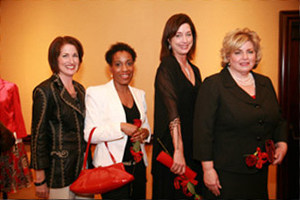 On March 23, 2013, we hosted a designer fashion show to benefit Caring Partners, Inc., the official charity of Belle of the Ball. 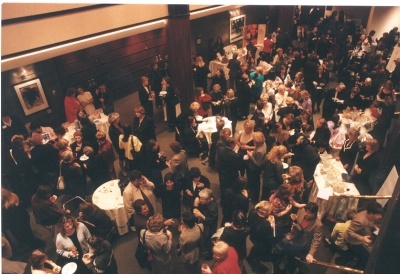 This year's event was held on a Saturday afternoon at Bloomingdales, Chestnut Hill. 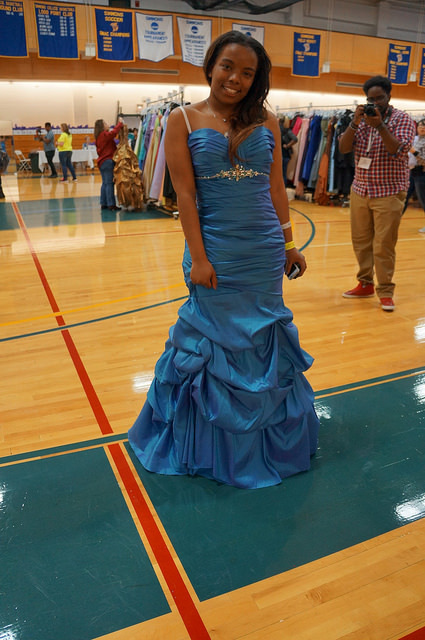 After the professional models were finished, Mary Lou Andre introduced 5 local teens who were on hand to model prom fashion. 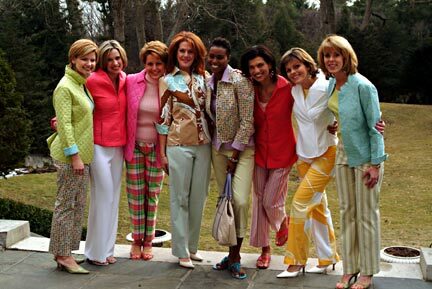 Also pictured below are Dressing Well stylists Carolyn Lieberman and Sarah Zengo. Carolyn and Sarah helped guests shop to raise money for this great cause. 10% of sales made by our team that afternoon contributed to the over $10,000 that was raised. For more event photos, visit our Dressing Well Facebook page. “All About A Dress” 20th Anniversary Party to Benefit Caring Partners, Inc.
We celebrated the 20th anniversary of our firm to the day on April 1, 2012 with a designer fashion show courtesy of Bloomingdales at Simmons College to benefit Caring Partners, Inc. – the official charity of our client Anton's Cleaners. 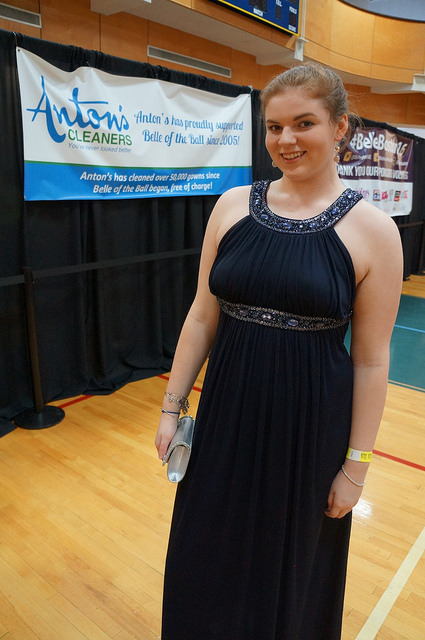 Attended by over 400 people, the event raised $25,000 to support Anton's two award-winning charities – Coats for Kids and Belle of the Ball. 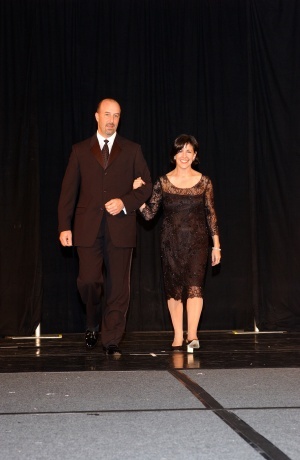 Our wonderful clients took to the runway in support of Belle of the Ball as a portion of the money raised was used to purchase jewelry, shoes and other accessories for Belle participants. 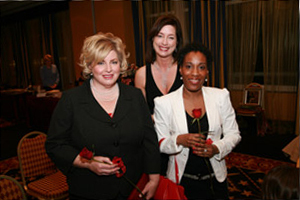 Pictured below (L to R) are Executive Coach Alesia Latson; Fidelity Investments executive Alexandra Taussig; and TV reporter turned Communications CEO and best-selling author Suzanne Bates. 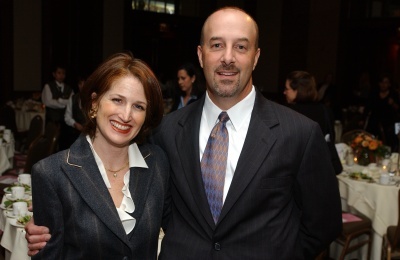 Client Arthur Anton co-hosted the event with Mary Lou Andre. 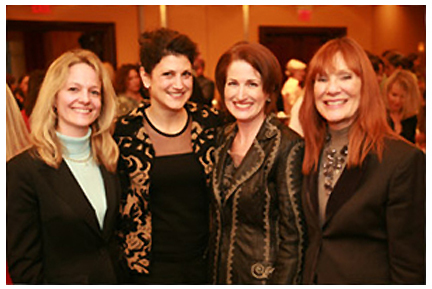 Below, client and firm friend extraordinaire Janet Jordan shared her musical talent with guests and Organization By Design, Inc. long-term consultants June Tarter, Elizabeth Fragala and Karen Costa joined event co-hosts Arthur Anton and Mary Lou Andre in celebrating 20 years of dressing well. For more event photos, follow this link. 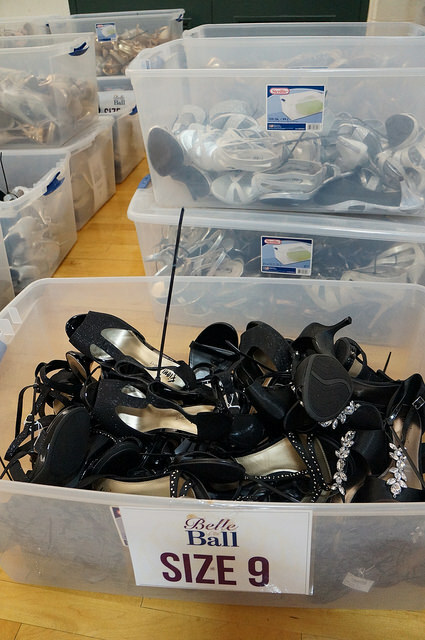 On November 18, 2010, we partnered with Bloomingdales to give thanks to our clients while also raising over $12,000 for Dress for Success Boston. 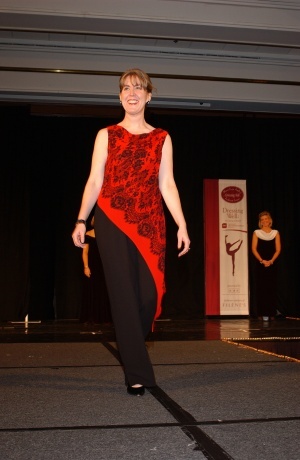 Several of our clients took to the runway wearing designer clothes courtesy of Bloomingdales. 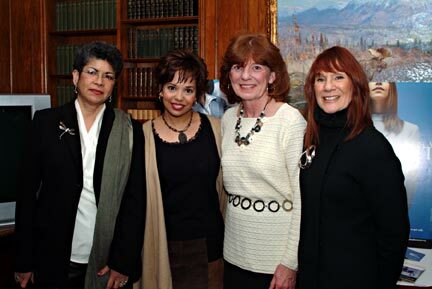 Pictured below (L to R) are Dr. Mallika Marshall – a medical doctor and health reporter on CBS; Jane Rizzo – mother, grandmother and client since 1994; and community leader Geri Denterlein, President of Denterlein Worldwide in Boston. 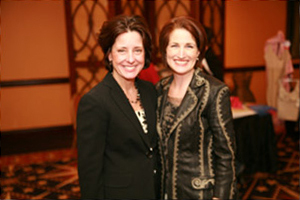 Jane is pictured with DFS Executive Director Kim Todd. Special thanks to our friends at Bloomingdales for always supporting our charitable causes and private client work. Pictured with Mary Lou Andre at this event are our Bloomingdales friends John Montbleau, GM Laurie Thornton, Rachel Fisch and Chris Willis. 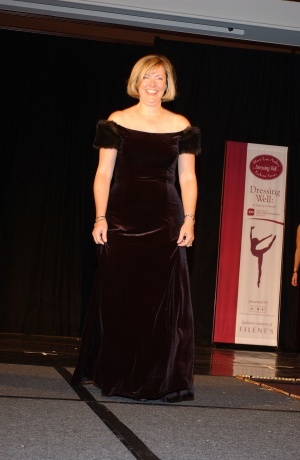 For more event photos, visit our Dressing Well Facebook page. 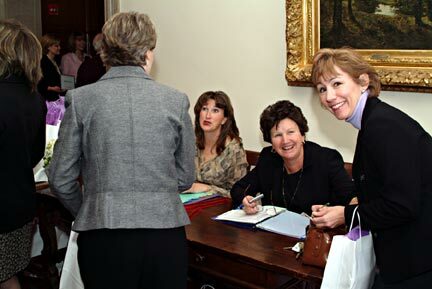 Mary Lou Andre in 2004 with Dress for Success Boston co-founders Nancy Schneider (right) and Enith Levine (left). 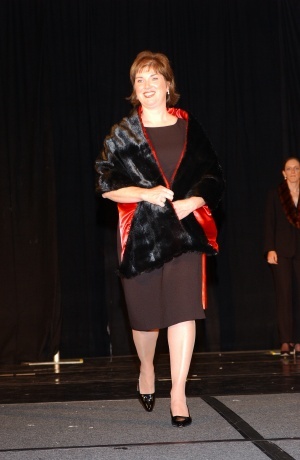 Mary Lou was awarded the 2013 Standing Strong Award. In giving her this award, the organization recognized her board leadership along with her support and advocacy for women entering the workforce. 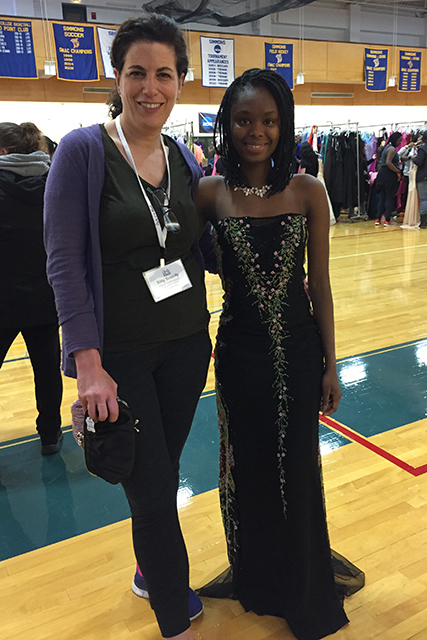 Dress for Success is a non-profit organization that provides interview suits to low-income women seeking employment. Their New York City-based web site lists the names, addresses and telephone numbers of "sister" and "cousin" organizations across the country (and in many other countries!) and how you can make a donation at a location near you. 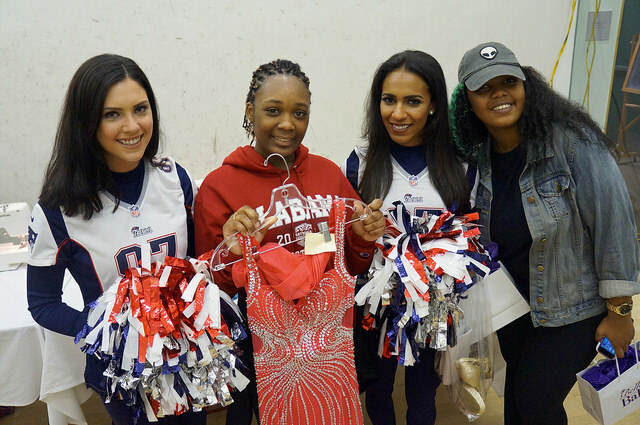 Our association with Dress for Success Boston allows our clients, colleagues and online community to easily connect with this organization and make in-kind and monetary donations to further their mission. 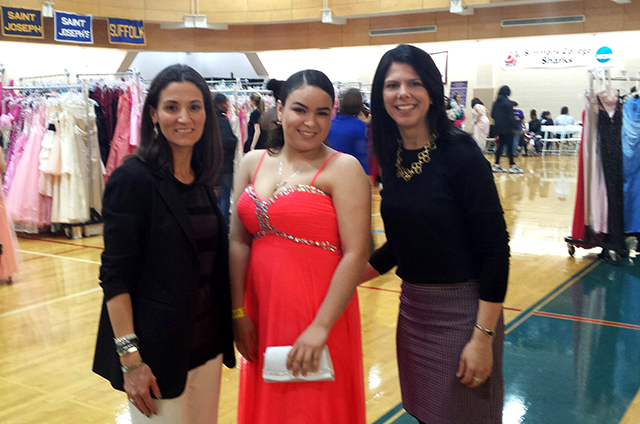 Mary Lou Andre and Arthur Anton, President of Anton's Cleaners, pose with one of the over 500 girls who participated at the 12th Annual Belle of the Ball at Simmons College in Boston. Notes Mary Lou about the true power of the dresses donated each to this event, “Every once in a while, it's nice to step out of your own world and into the world of others to experience a slice of life that is quite different than your own. Each spring, members of our firm get this opportunity when we co-sponsor "The Belle of Ball" with our friends at Anton's Cleaners. 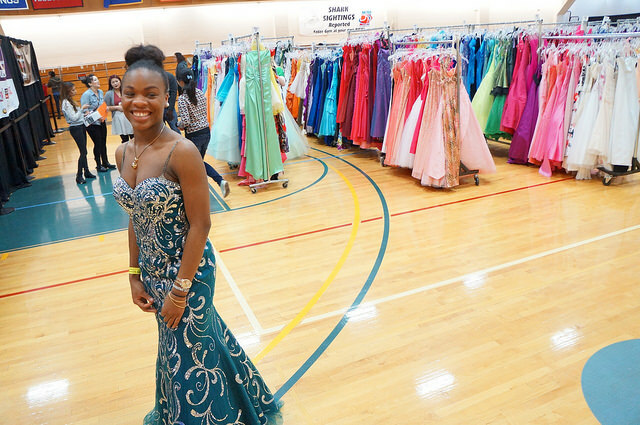 The goal of this event is to collect, dry clean and distribute prom dresses to high school junior and senior girls who are unable to afford a dress for their school's prom. When you give a girl a dress, she can go to her prom. However, when you establish an event where she can come and receive one-on-one attention from her very own personal shopper, she begins to see her body in a new light. By learning what cuts and styles look best on her body, she is given a gift of confidence ­ a gift that can often last a life time.” Mary Lou currently serves on the Board of Caring Partners, Inc. – the charitable arm of Anton’s Cleaners. 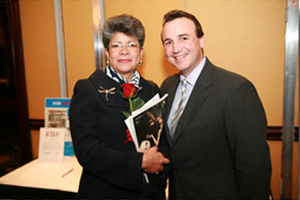 Watch Mary Lou Andre on Fox 25 Boston as she shares the true purpose of the Belle of the Ball. 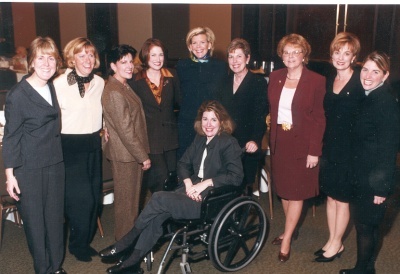 When Mary Lou Andre was reacquainted with her childhood friend Karen Van Houten in September of 1999, she was stunned to see first-hand the devastating effects of multiple sclerosis on such a young woman. 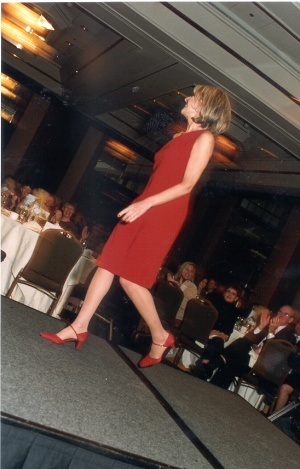 When she was told that 78% of all people affected by MS are in fact women and most are diagnosed between the ages of 28 and 40, it was easy for her to team up with Karen to create and co-chair "Dressing Well — An Evening to Benefit MS." This three-year fashion show fundraising event concluded in October 2002 and raised a total of $215,000. 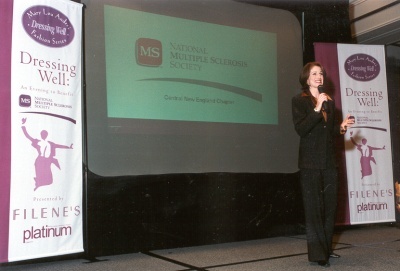 Our commitment to the MS Society continued in 2003 when Mary Lou served as the Mistress of Ceremonies for Women Against MS: A Celebration of Extraordinary Women. The event featured keynote speaker, actress and National MS Ambassador, Teri Garr, who was diagnosed with MS in 1990. 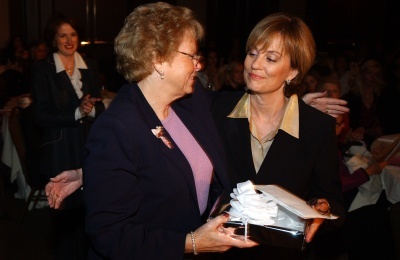 In 2004, Mary Lou received an MS Leadership Award for her vision and commitment to the organization. Pictured above with Mary Lou is actress Teri Garr and Arlyn White, President and CEO of the Central New England Multiple Sclerosis Society. Editor's Note: After a long and courageous battle with MS, Karen Van Houten succumbed to complications brought on by the disease and passed away peacefully surrounded by family and friends on September 8, 2012. She was 48 years old. Her spirit lives on to all that knew and loved her. 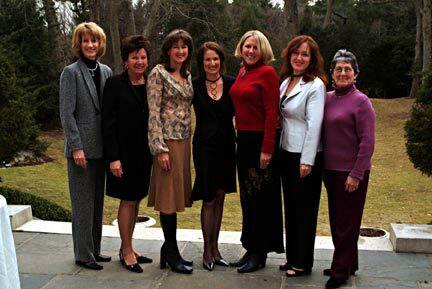 Karen is pictured here (1st row to the left next to Mary Lou and in front of her mom Marge Van Houten) with the original Dressing Well committee members. The group gathered at the home of the Van Houtens for a celebratory party and to present a symbolic check to the MS Society Central NE Chapter representing the $215,000 that was raised during the group's 3 year fundraising tenure. 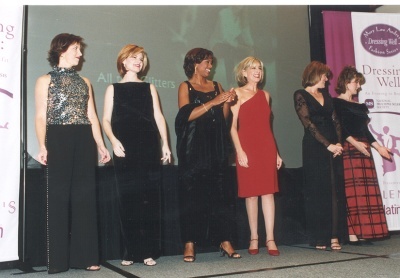 One of the high points of Mary Lou Andre’s career was when she received the prestigious 1999 Avon Spirit of Enterprise Award in recognition of her professional accomplishments as an entrepreneurial rising star. Click here to read Mary Lou's acceptance speech. Building a civic minded company starts with commitment. Follow this link to read "The Business of Caring" ­ one of the best articles that has been written about our "Fashionable Giving" philosophy. 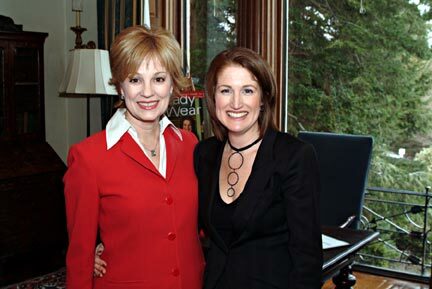 Pictured above with Mary Lou in 1999 (who is eight months pregnant with twins in this photograph!) at the Avon Spirit of Enterprise Awards are from left to right Angelo Rossi, Regional Vice President, Avon Products; Elaine Guiney, District Director of the US Small Business Administration and event hostess Suzanne Bates. At the time, Suzanne was the morning anchor at WBZ-TV Boston. 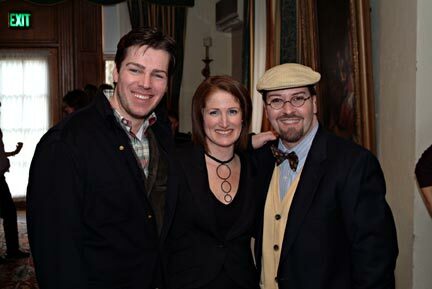 Suzanne is now the CEO of Bates Communications and continues to be one of our biggest supporters. Notes Suzanne, "Mary Lou is a force of nature. If she makes her mind up to do something, it gets done. 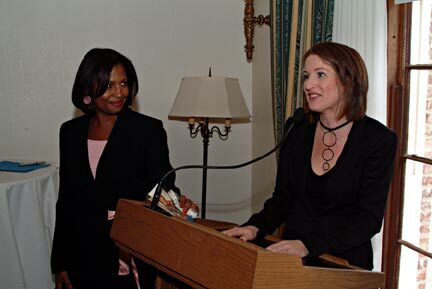 It is my pleasure to call her both a friend and colleague." 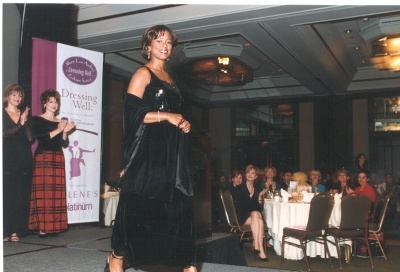 Over the years we have partnered with other civic-minded companies to bring our Dressing Well message to larger and larger audiences while helping raise money for a variety of worthwhile causes. These events also allow our staff, clients and colleagues to get involved and make a difference, too. 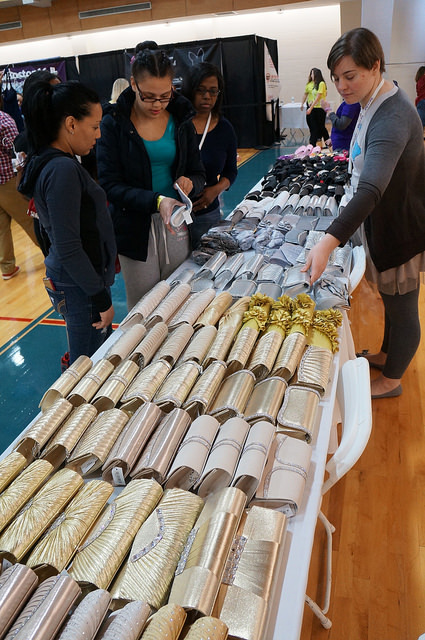 From the Massachusetts Breast Cancer Coalition to the YWCA of Boston to the Urban League to many schools, churches and organizations in the hometowns of our fashion consultants and clients, we have become known for our spirit of giving. 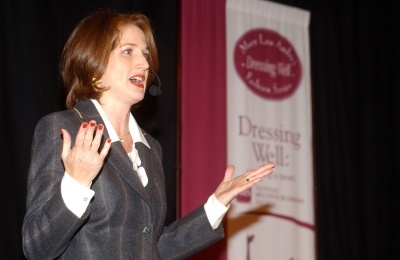 If you are interested in having Mary Lou Andre present "The Art of Self Marketing" to your organization or at a women's conference, contact Mary Lou directly. 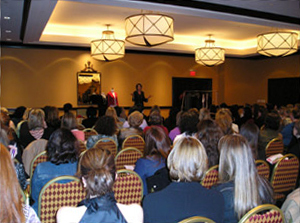 This presentation highlights Mary Lou's entrepreneurial journey while educating the audience about her "Top Ten Guiding Business Principals." Audiences leave her presentation inspired about how they can incorporate philanthropy into their own lives and businesses.